Shriram Life Insurance is a subsidiary of Shriram Group and was launched in 2006. 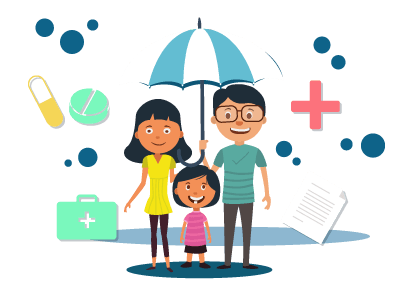 The insurance company since then has gone on to become one of the most trusted brands in India and has followed the mantra of reaching out to the common people and offer them products that would help them achieve prosperity. The insurer boasts of an extensive customer care service which is readily available to serve its customers at all times. An existing or a new customer can get in touch with a customer care executive by calling on the toll-free number – 1800 - 3000 - 6116. The person can also call on the phone number +91- 40 - 2300 - 9400 in case he/she has any query. One can also call the number 1800 - 103 - 7401 if a person wants to buy an insurance policy. In case the person is unable to get in touch with an executive through the toll-free number, he/she can call the Indore call centre number - 1800 - 103 - 5319 and get his/her queries clarified by a customer care agent. A person can email his/her queries to customercare@shriramlife.in. A customer of Shriram Life Insurance can avail the SMS facility in order to receive information and updates regarding his/her policy. The person will have to get his/her mobile number registered with the insurer so that he/she can avail this service. He/she will have to type in specific keywords in a specific format in order to receive the information. For example, if a customer wants to know the status of his/her policy, he/she will have to type in STAT <12345678> and send it to 924603344.